The Best Time to Hire a PR Team is When A Business is About to Launch. You only have a small window of opportunity to debut your company with a bang, so there needs to be a PR team to plot, plan, and create a strategy for optimal growth. While they may not be miracle workers, their talent, acumen, and experience can help you pull off a successful launch for your startup. Hiring your PR team can be intimidating, especially if any of your colleagues have shared some of their horror stories. However, bear in mind that not all PR teams are created equally, and these stories often have a subplot that explains why it ended badly. It could be that it was just a bad match, a mediocre PR company, and/or a business that just didn't do their research. Your business won't mesh with all PR firms and vice versa. This should be a mutually beneficial relationship, and it'll take some time to separate the weeds from the top potential fits. Your number one focus should be on making sure the PR team you hire "gets" your message, including what makes your goods or services so different, and the learning curve should be pretty short. Your mission, philosophy and vision should excite them. Once this happens, they can become a natural extension of your company, communicating just like you would. In addition, they will be lightening your load, taking care of everything from speeches at events to media relations. Since your PR team essentially becomes the face of your business, it's vital that you choose wisely. How do you make sure your goals are aligned with a PR agency? You're both on the same page about demographics and brand representation. A great PR company will already know which media outlets are the right fit for features. However, as a startup, these outlets may not be ready to hear your startup story. That's why you need to find a professional who will target and goal set with you, not against you. In the long run, working with "small press" provides more consistent exposure for startups, so a PR company shouldn't only go after the big dogs. You also need that PR firm to be accessible at any time. Startups work around the clock, and they need a PR firm that works the same non-stop schedule. This doesn't mean you should be able to call your PR rep at 3a.m., but, within reason, they should be readily accessible or, at the very least, reply in a timely manner. Finally, it's likely the head of the PR firm won't be your direct point of contact even if they met with in the beginning. Instead, you will most likely have an account executive in charge of your account that you will need to mesh with so you can partner on campaigns and other publicity tactics. Meet with this point of contact a few times before signing on that dotted line so you can feel each other out to determine how - and if - you can collaborate effectively. Since you are more than likely to be on a limited budget, don't assume the PR firm you hire has to do everything. You can also use other types of tools to gain traction for your startup as you ramp-up for launch. In this way, you can start building the buzz before the PR team comes on board to get more bang for your buck. For example, there are online partners available that offer a way to get the benefits of advertising but only having to pay if it generates a lead or a sale. Clickbooth is a Cost Per Action (CPA) network that does just that, expanding your reach without risking your already stretched budget. As part of your PR strategy, you can develop or leverage campaigns with Clickbooth, which has the largest base of affiliates that deal in all types of traffic so you can gain more customers while spending less money. 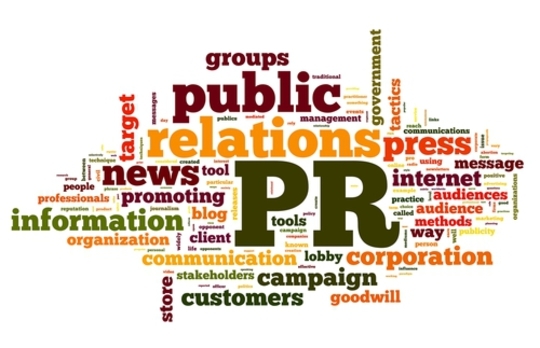 This tactic within your PR strategy can integrate well with whatever your PR firm develops and implements for you, furthering all publicity efforts. While it's true that many businesses scramble to hire a PR professional when they're in the midst of a crisis, this decision might only make matters worse because you don't know each other, but you've been thrown together to handle some negative press. Usually, that approach only creates a new horror story to add to the collection. Instead, plan ahead and take the time to do the research, interview and assess, and try the PR firm out first so you can introduce your startup to the media and your target audience in a thoughtful way.